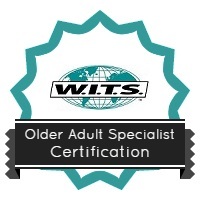 Approved for 44 WITS CECs and 4.4 IACET CEUs. This 24-hour certification class is for health and fitness professionals wanting to gain knowledge, training, and competency to assess fitness levels, design fitness programs and provide motivating exercise instruction for older adults. You can register and purchase the required text, “GAMUT: The AAHF Training Series: SrFit” by calling 1-888-330-9487 or visit our website at www.witseducation.com. This is an intermediate level course for students with experience or education in fitness training. Lecture, demonstration, hands-on practice, practical skills assessments and final examination. Registered students receive course workbook and student study guide. Students must earn a score of 70% or higher on the written and practical exams. Attendance is also required and students are only allowed one excused absence. Students with an excused absence must schedule a make-up session and complete any work assigned. Adult CPR is required for the certification to be issued. 44 contact hours. Approved for 44 WITS CECs and 4.4 IACET CEUs. Recommended for 2 semester undergraduate credit by the American Council on Education. Registered students receive discounts for ONLINE interactive lectures, practical skills and practice exams. Students who do not pass the course the first time can retake the course and re-test for a reduced fee. The taped lectures, including the modified group fitness class. It was good for visual learners. I am a personal trainer in fl and 70% of my clients are age 50 or above…The class confirms that i am providing proper training and has shown me a few new techniques to use Good coverage of material without us having to travel. Fine textbook and good written outlines and videos to back up outlines of key points. Prometric International retest sites: $75.00 US/Canada & $85 international fee. The knowledge that I gained I will be able to apply to the seniors that I teach and the other adults. This has broadened my knowledge base. It covered a lot of important material and was right to the point. Not any unnecessary topics. The Practical Portion of the class was the most informative because we got hands on experience in each skill area. Required textbooks are not included and additional fees may be needed. 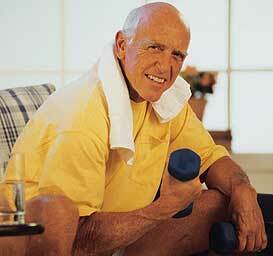 The SrFit textbook is used for advanced training for Certified Personal Trainers who wish to work with the older adult. As a personal trainer, you need to know how to safely and effectively serve this special clientele. This book will become even more important as the industry sets standards. As the medical community and insurance companies begin to recognize personal trainers as a viable option, this textbook will enable trainers to participate effectively. This is a required text for our Older Adult certification course. Textbook may be obtained via the SHOP W.I.T.S. * Adult CPR/AED is required for the certification to be issued. It may be completed before or after the course and the exams. Results will be issued but no certificate without the proof of CPR/AED.